From reconciliation to quantum physics to suicide, suffering, and death, the topics recently covered by Zen master Thich Nhat Hanh always returned to four things: mindfulness, love, understanding, and meditation practice. I was one of the lucky people who attended his sold-out talk “Open Mind Open Heart” on Aug. 14, which the inspirational Buddhist offered at Vancouver’s Orpheum Theatre. I’ve long admired this insightful Vietnamese monk for his books of wisdom, his commitment to nonviolence, and his role in urging Martin Luther King Jr. to speak out against the Vietnam war. Hanh is one who truly walks the talk, literally and figuratively, when it comes to bringing full presence and loving speech to life. Any summary provided here will barely do justice to the value of his words, which prompted me to begin reading his book on anger, and wanting to meditate more regularly. One reason why I like Hanh’s approach is that he practices “engaged Buddhism,” which transforms meditation practice into activism. Sounds simple, right? Obviously, the world at large is not reflecting that. Yet each of us can begin with making our own behaviour, every day, more peaceful and mindful. Hanh outlined regular exercises in mindful breathing, such as recognizing a painful emotion, scanning one’s body for tension, then smiling and releasing the tension. 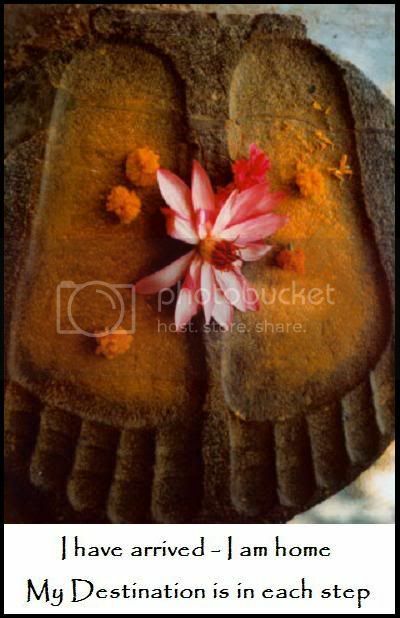 He said that within three months, this practice would generate a feeling of happiness and joy. He spoke of suicide, chosen by so many young people who cannot bear painful feelings. Yet, an emotion can last for only a half-hour if we bring our attention down to the level of the abdomen, feel it in our bodies, and release it. This takes ongoing practice. Hanh spoke of common dilemmas in life: “Many of us sacrifice the present for the future” and “Many Buddhists think they will only be happy when they are reborn.” Yet, he reinforced that joy and happiness are available right here, right now by being in deep contact with others and all around us. To love someone, he said, you have to understand your own suffering and theirs, which gives rise to compassion. This requires deep listening and loving speech, and can lead to reconciliation, even between parents and children who have had no contact in many years. He gave several examples of this from people who have attended his retreats. 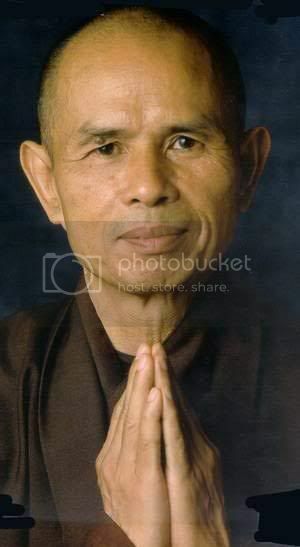 Hanh reinforced that the concept of something moving into nothing, such as the common societal view of death, is not true. “A cloud can never die,” he said; it simply becomes rain or hail. The event began with music, song, and interactive exercises, performed by the monk “choir”. It ended with a beautiful, plaintive song, performed in French and English by an elderly nun with a gentle, lined face, which invited listeners not to fear death. Overall, the afternoon was a wonderful communal experience, one for which I feel tremendous gratitude. Regardless of laws or legislation, attitudes are often slow to change. But I’m pleased that today, we see far more women working in transportation, and most receive equal pay and respect and have equal rights to their male counterparts. Kudos to those who endured the early days and helped drive a new path forward, to make it easier for subsequent generations. Social media: Have we forgotten the “real” world? At a social media seminar I attended this week in Vancouver, one of the presenters said: “The real world is so key.” She was referring to live-blogging events. I had to laugh at the irony. We have to be reminded to participate in activities that occur beyond cyber-reality? How sad. As a writer and communicator, I firmly acknowledge the value of the Internet and social media in connecting with others and sharing information. But if this activity ends up alienating and isolating us from the flesh-and-blood world, it’s ultimately substracting from, rather than adding to, our lives. Do we chat with a near-stranger online, or visit a real friend face-to-face in a cafe? Do we choose to email rather than phone someone? Are personal encounters diminishing, replaced by Tweets and cyber-dialogue? Social media can create the same real-life siloing. On the same night as the seminar, I attended a talk and reading by musician/author Sylvia Tyson at the Festival of the Written Arts in Sechelt, BC. She read from her new novel Joyner’s Dream, which reinforces one family’s connection to music through multi-generations. In the Q&A afterwards, someone asked Tyson if she was on Facebook. “I’m one of the original Luddites,” she replied. (That was a no.) Applause followed from at least one-quarter of the sold-out audience of several hundred. I assumed that those who clapped were honouring the value of person-to-person sharing, the kind of connection that Tyson created that night through her spoken word and recorded music. I don’t advocate shunning the digital world. Let’s just keep it in perspective. To me, nothing beats the unadulterated, non-enhanced connection, in person, with people and nature. Once we’ve stopped valuing that relationship, and making time for it, we might as well become heartless cyborgs.